Yotto: The I AM Playlist! I AM’s guest this week, Yotto, has put together a short list of some powerful tracks he’s been airing recently ahead of his Sub Club debut. 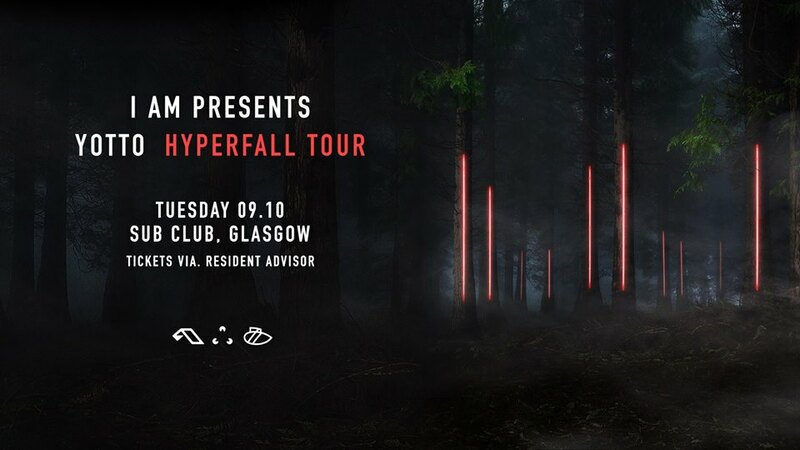 As a DJ and producer, he has been blazing a trail having recently released his debut album Hyperfall, he’s been touring it around the world and getting support from some of the industries best! Fantastic work from &Me, a great piano roller that works as the last record of the night or a big moment in the middle. Epic Laurent Garnier moment here, something relentless and warm about this remix. Love it. Great groove and a lovely dancefloor moment. A big, bassy techno roller with just a great funky groove that does not let go. Been playing this a lot. Classic Sasha tune, feels like it was lifted from one of my all time favourite albums Airdrawndagger and updated for today’s floor. Goes deep. Big, epic synth-heavy techno from Jel Ford. One of the standouts from latest Drumcode compilation. Big, funky summertime house music. These always work when the going gets too dark and serious. Possibly my favourite track from my album, just a simple emotional melody going around and around. It’s a hit, but for a reason. Great catchy vocal sample and a banging groove. I love the Rufus guys and have made a remix of Underwater from their new album. Should be out in a month or so, really happy with how it turned out!